After almost two years in recession, the country's rainy day fund has shrunk to just $32.2 billion this month, according to the Russian Finance Ministry. It was $91.7 billion in September 2014, just before oil prices started to collapse. And it's getting worse. Analysts expect the fund will shrink to just $15 billion by the end of this year and dry up completely soon after that. "At the current rate, the fund would be depleted in mid-2017, perhaps a few months later," Ondrej Schneider, chief economist at the Institute of International Finance, wrote in a note this week. The government's reserve fund is designed to cover shortfalls in the national budget at times of low oil and gas revenues. 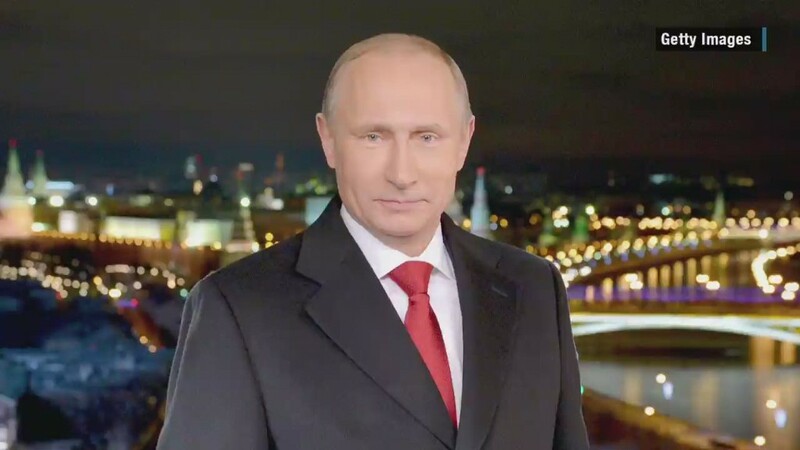 Russia's 2016 budget is based on the assumption the country would be able to sell its oil for $50 per barrel. But the average oil price in the first eight months of the year was less than $43 per barrel. Oil now makes up just 37% of all government revenues, compared to roughly 50% just two years ago. The government will reveal next year's budget after a parliamentary election this weekend. This slump means the government is having to tap the rainy day fund again and again. The government indicated that once the reserves are depleted, it may have to turn to its welfare fund. 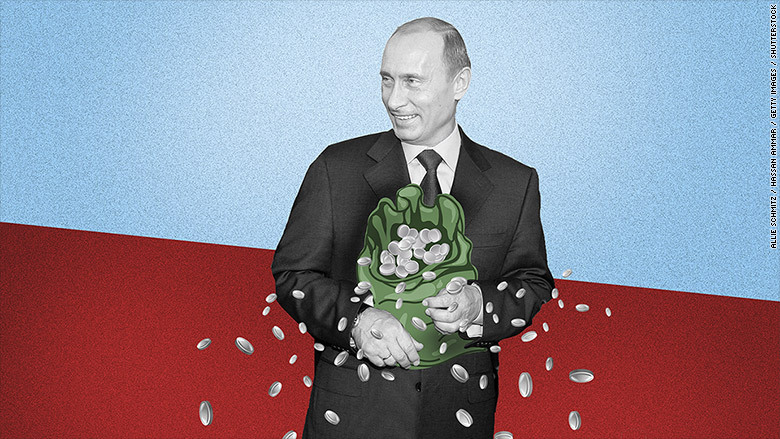 Kremlin says the welfare fund has over $70 billion in it. The fund is not intended to cover budget shortfalls, but rather to finance future pensions and large-scale investment projects. Schneider said the assets in the fund are less liquid, so it might even be technically impossible for the government to withdraw from it aggressively. Russia's central bank cut interest rates on Friday, to 10% from 10.50%, in a further attempt to kick start the economy. The central bank still has $395 billion in international reserves, down from $524 billion in October 2013. The bank burned through more than $140 billion in foreign currency reserves between 2014 and 2015, trying to defend the ruble from collapsing. The strategy didn't work and the bank slowly abandoned it. The ruble dropped to the lowest ever in January, when it was trading at 82 rubles per U.S. dollar. It is now trading at 65 rubles per dollar. The slump in oil prices has hit Russia at the time it was already suffering because of economic sanctions imposed by Western countries over its role in the crisis in Ukraine. They've cut off Russia's most important companies from European financing, banned imports of certain products and froze funds of key officials. Russia retaliated by imposing import restrictions on European food products. That caused a headache to European farmers, but also pushed Russian inflation to double digit levels.